For close readers of biblical text, in the spirit of Midrash - of classical rabbinic scriptural interpretation - the line right at the start of this week's Torah-reading is a thought-provoking opening, a classic invitation, as it were, to speculative probing. The opening verse is an oddly worded and troubling imperative from God to Moses: "Come unto Pharaoh, for I have hardened his heart" (Exodus 10:1). First of all, as to wording, one might have expected a more straightforward command for the prophet to 'go' unto Pharaoh to demand that he release the Israelites from servitude. And then there is the question of why the Divine seems to toy with the Egyptian king - hardening his heart, on the one hand, sending Moses, and plagues, at him, on the other. Translator of the Zohar and scholar of Jewish mysticism, Daniel Matt, reading that tome's and that tradition's approach to the passage, synopsizes it poignantly in a note, as follows: "God was telling Moses, 'Come to the nexus of the demonic and the divine.'" I will not go deeply here into the Zohar's extensive, vivid, and whirling delve into that nexus - with ten voracious sea serpents lurking in ten cosmic rivers, counterbalancing, on a dark side, the ten constructive divine utterances of creation in Genesis (in case you care for a taste). The point I will lift out and emphasize is the assertion - the observation, really, in the terms of Midrash - that in calling Moses to Pharaoh, God is inviting Moses close, rather than, as we might have expected, sending him somewhere distant from God's self. God, in the reading of the passage by the Zohar, is calling Moses to approach a mystery, perhaps even a crisis, of God's own existence. The mystery and the crisis is the emanation of evil from God - where else would evil come from, in a monotheistic tradition? As far back as Isaiah, Israelite tradition has pondered the problem, the prophet saying in the name of the Divine, "I form the light and create darkness, I make wellbeing and create evil; I, the Eternal One, do all these things" (Isaiah 45:7). In a sense, God is pitting the prophet - and, by extension, all of us - against an aspect of God's self. At first that would seem the epitome of an unfair match. What chance does the creature have, over and against the Creator? The challenge becomes a more fair fight - or, maybe, it becomes much more difficult - when we realize that the call is very much an imperative to confront our own selves. As the drama plays out between Pharaoh and God and Moses, grandiosity and stubbornness and selfishness and chagrin and avarice are built up and beaten down again and again, mercilessly, painfully. 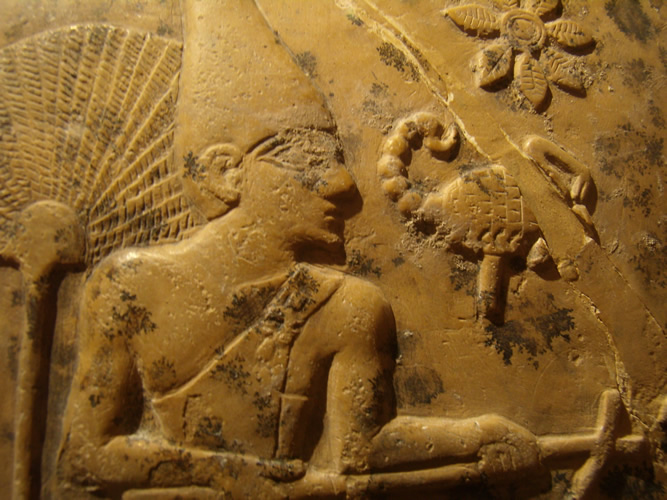 It takes the most profound loss and experience of helplessness to induce Pharaoh to let go. Even then, after scarcely a moment of relinquishment has passed, the enslaving monarch will go charging after the Israelites again, only to be drowned in the Reed Sea. He throws himself with something like ecstatic passion into the role of the villain in the tale and in the song of redemption and exodus. 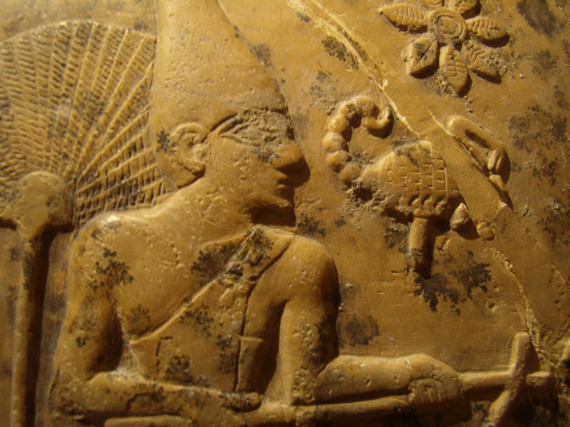 The pharaonic impulse is strong, perhaps all but indelible. It is very easy to say that Pharaoh exists out there, up in some palace of privilege and tyrannical prerogative - "far away from us," as the ironic and comic prayer at the start of Fiddler on the Roof wishes for the Tsar to be, so far as the village Jews of Anatevka are concerned. And yes, there are times when evil comes crashing upon us from without - when it is right to regard and confront perniciousness as foreign and alien, not of our own selves. In a larger and deeper sense, however - and this is what the mystical tradition would tell us, about God, and about ourselves - where else would evil come from than from within? Collectively - and as an expression of divine creation, to use those ancient terms of legend - we, humankind, are the nexus, made flesh, made drama. So, even as we combat evil without - fighting those whose selfish actions would cause ill - we cannot ignore two terrifying twin actualities: that something in ourselves collectively has allowed and enabled such forces to arise, and that somewhere within our own selves, however dimly, however differently, lurks something of them. Come close and see that, confront it, says the divine imperative at the start of our reading this week, in the interpretive reading. We can cheer as the tyrant is laid low, when and if that happens - and, on the one hand, well we should. Yet, on the other hand, unless we come face to face with the aspect within our own selves that bays for blood and takes triumphal delight in the comeuppances of others, the tyrannical impulse will just have found another home, right behind our own proud breasts and faces. "I will afflict you, according to justice," says the Divine through Jeremiah, in the prophecy paired with our Torah-reading of God and Moses and Pharaoh this week, "and I will not entirely acquit you" (Jeremiah 46:28). If we are honest with ourselves, and if we give ourselves to the divine project in this world, we must say amen to that. We must heed the call into the darker throne rooms in the nexuses of our selves, there to confront none other than old, hard-hearted Pharaoh - even as we fight for liberty and redemption outside.